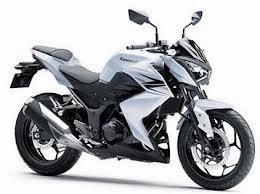 At the beginning of 2013 PT Kawasaki Motor Indonesia ( KMI ) made ​​a breakthrough with the launch Z250 . 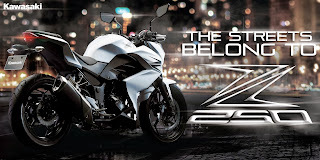 Remarkably , Z250 into a global product with Indonesia as the first country where the launching . Z250 Kawasaki Ninja incorporates a combination of performance and style of street fighter . This can be seen in the body that seem aggressive and rider position designed to maximize steering control . Also enables when splitting dense urban traffic . Arguably this is the most ideal packing of Kawasaki in the 250 cc class sport . Perhaps this motor will boom as well as his brother Ninja 250 . 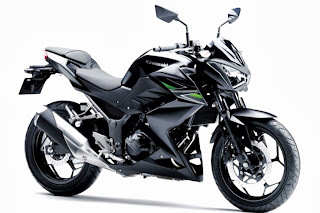 According to Kawasaki , the difference Z250 design concept aims to steal the show . 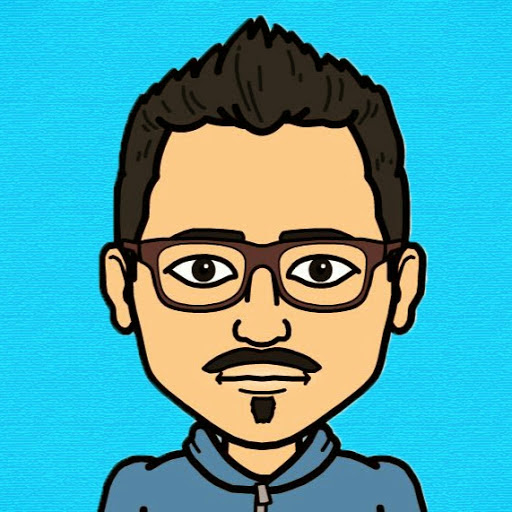 Display aggressive looks on while driving or stopped . Z250 is not just regular naked bike , so its presence is easily recognizable from its looks are stunning . Street fighter character Kawasaki Z250 offers cutting edge features . It is seen on the stern ergonomic design made ​​minimalist . As a determinant of the character of a motor , Kawasaki focused on the design of the front of the motor . Headlamp Z250 looks as if ready to ' pounce ' with sharp eyes . 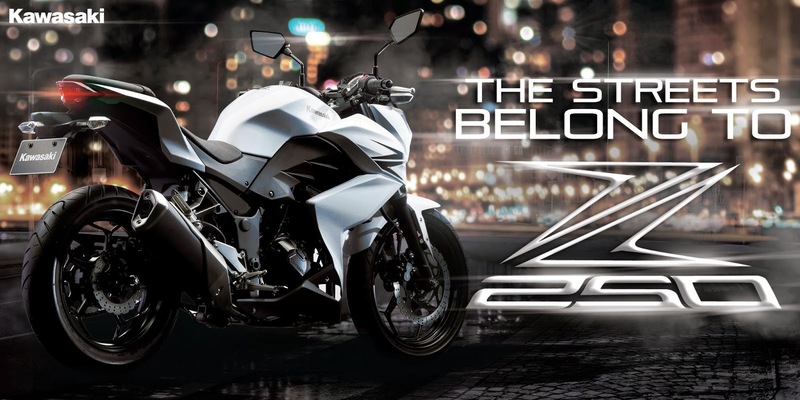 Z250 combines a quick character and responsive handling . So that the position of the rider made ​​higher and wider handle , making the rider is in the ideal position and dynamic . This is supported by the 250 Ninja engine wear and performance framework .